Heat oven to 375°F. In large bowl, beat sugars, butter and shortening with electric mixer on medium speed, scraping bowl occasionally, until light and fluffy. Beat in eggs. On low speed, beat in flour, baking soda and salt until well blended. Stir in oats, almonds and chocolate chips. 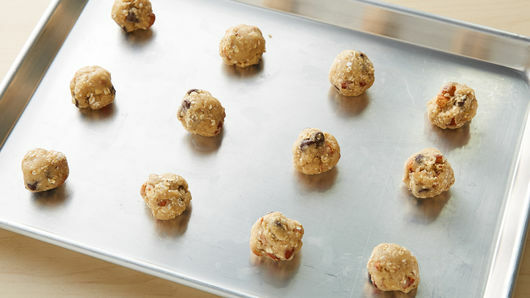 Drop dough by rounded teaspoonfuls 2 inches apart onto ungreased cookie sheets. Bake 9 to 11 minutes or until light golden brown. Immediately remove from cookie sheets. 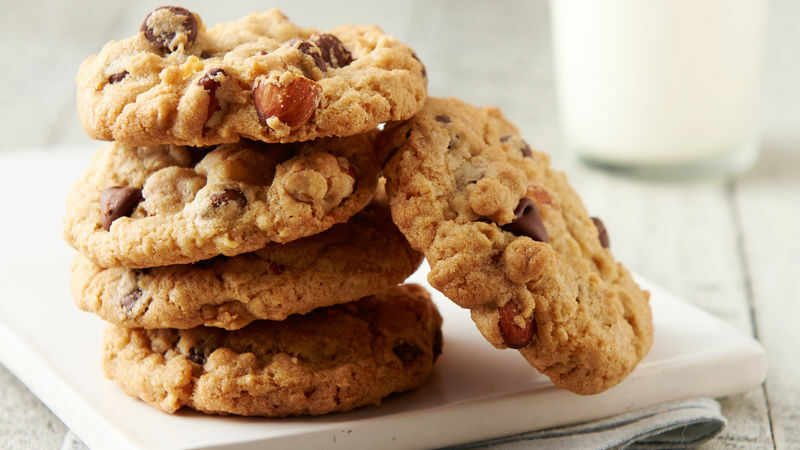 These hearty oatmeal chocolate chip cookies are made completely from scratch but are worth the effort. To ensure that your hard work pays off, we have a few pointers that you should keep in mind. Oatmeal cookies are drop cookies, which means that the dough is spooned directly from the mixing bowl onto the cookie sheet. If you don’t have a cookie scoop, use a tablespoon to scoop up dough and drop it on the cookie sheet. Using a measuring spoon helps to make sure that all of the cookies are uniformly sized. If you’re hoping to bake giant cookies, try using an ice cream scoop. 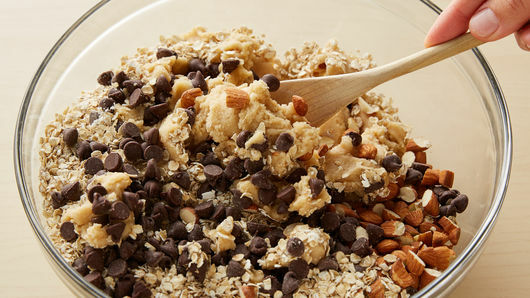 Making cookies is easy—making perfect cookies requires a bit more effort! But once you know the tips and tricks to making cookies from scratch, you’ll be whipping up a fresh batch on the regular!